Booking your Google Virtual Tour is as easy as 1, 2, 3! 1) Submit the short form below, or call our office at 630-492-0250. 2) We will contact you ASAP to provide you a quote and schedule your photo shoot. 3) We take care of everything. Your Google Virtual Tour will be live within days of your photo shoot! *We respect your privacy. 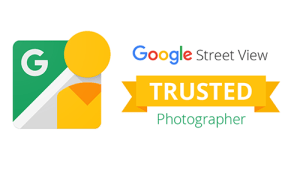 Your information will not be shared with third parties and will only be used to provide you information about booking your business photo shoot.